Station wagons are not always the strongest sellers in the U.S., but many European manufacturers like Audi offer station wagon versions of their sedans for those buyers looking for an extra bit of utility without the bulk of a SUV. The A4 Avant is the wagon version of the popular A4 compact sedan. Although the A4 product range is broad, Audi only imports a single version of the Avant to the U.S. market. A long list of standard equipment includes a leather interior and a panoramic glass roof. Higher trim levels offer exclusive features like adaptive cruise control and LED headlamps. Sport and S-Line trim packages allow buyers to tailor the A4 to their tastes. The redesigned A4 Avant grows by 5 inches in length and 2 inches in width. Styling highlights include Audi's single-frame grille, headlamps with LED daytime running lamps, a more aggressive roofline and angular LED tail lamps. A more powerful 2.0L TFSI four-cylinder (211 horsepower, 258 lb-ft torque) becomes the base engine. 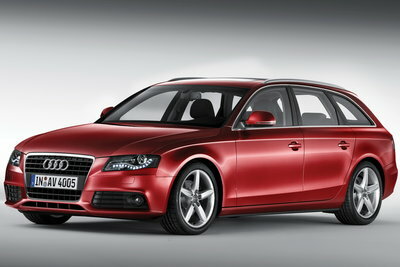 All-wheel-drive is standard on A4 Avant models. The S4 performance model has been dropped.